I have decided the whole world got either a Nook or Kindle for Christmas....except me. After looking over both- I have to decide which one I must own. Since I could read my life away this is an important question. One thing about both that I know I do Not like is not having the option of back-light. I know all the reasons why back-light is not easy for the eyes but for my eyes I love it. Second question is what am I willing to pay? Since I plan on spending all my money on the books, I plan on buying a used and cheap one. So far Kindle seems to have some great deals on ebay but not Nook. Don't ya'll find that interesting? Another thing I find interesting is Nook does not have text-to-speak like Kindle. That is not good. On the other hand Kindle's battery is not replaceable...you have to ship your Kindle to them and they replace it for you and you do Not get your own Kindle back...now that is weird. The Kindle you get back is exactly like yours not not your Real one. That is not good. Why did you decide a Nook or Kindle? For a couple of weeks I have been using a new lamp from the Daylight Company. I have the clip-on magnifing lamp and am in shock at the difference. For years I have been using lamps from "the other" brand and there is no comparison! I put them sided by side and turned them on ... it blew me away. I also did not think I really needed the magnify except when I was working with black thread on black fabric....boy was I wrong. The way the head of the lamp can twist around is fantastic. Now I use it day and night. If you are looking for the best ever Christmas gift for yourself or a friend check Daylight out. I promise you can't go wrong. Never pass up a chance to ride both of these. This year when we go to the beach this is the first thing I am going to do, it was so much fun the first time. If you have not yet taken a "quilting cruise" run not walk to the first one you find! 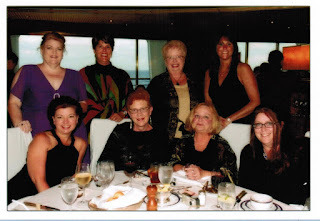 Cruising with a group of Quilter's is the ultimate fun. The picture above is from the cruise I just finished teaching, and it was amazing. We had fun every single minute. During the 3 days "at sea" we taught our classes starting off with a healthy breakfast (in bed) then we quilted for a while...then we had a healthy lunch (I ate nothing healthy)....then we had a hefty 5 course dinner, healthy of course...grin. To keep up our strength during classes the staff made sure we had plenty of danish, cookies and cakes. Heaven forbid we should go hungry for 10 minutes. The most exciting excursion was "swimming with sea turtles"! They are huge but so gentle. Hopefully some of the pictures are clear enough for me to post. After swimming with the turtles we were introduced to "The Great Big Brawler and Banana"!! This batik is another example of what we will be doing on the Cruise. One day I like it best and then the next I love the other one. Good thing I did them both so I don't have to choose. 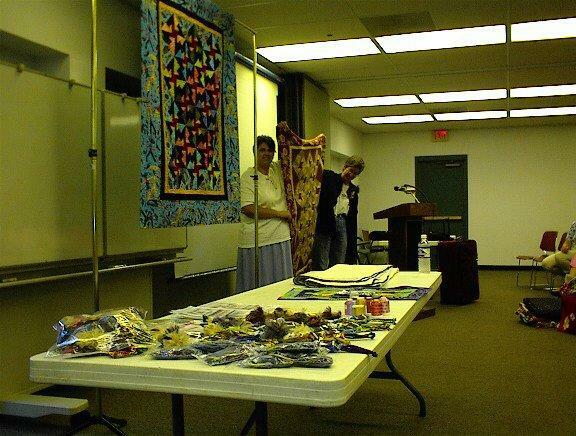 February 3-13, 2010 I will be teaching the Caribbean Quilt Seminar at Sea. I'm so excited.....10 whole days! 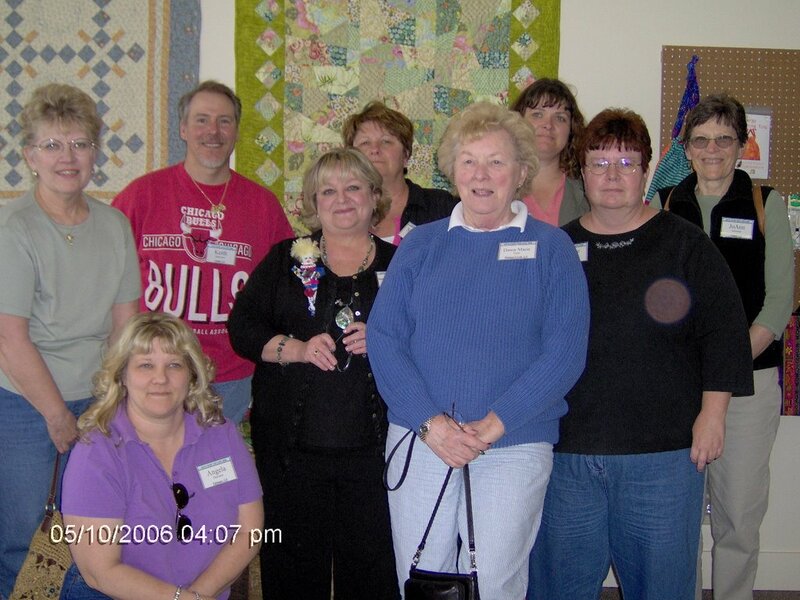 What could be better than spending 10 days with Quilters? This first picture is a close-up of one of the panels which we will Trapunto, Bead and Embellish during one of the "at sea" days. 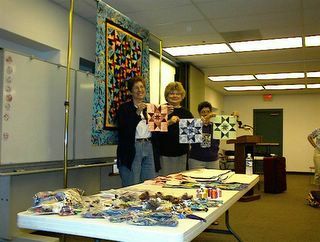 Group Seminars at Sea is doing the cruise and we will have a "Quilt Shop" on board. I think I am more excited about doing this cruise than before because I know what to expect. This bracelet is sold. Thank you for looking. 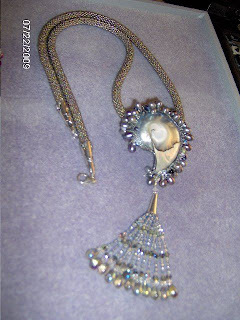 This necklace is sold and in a private collection. 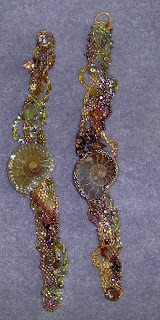 The Ammonite freeform bracelet on the left is now sold. The one on the right is in shades of golds,browns and a hint of green. 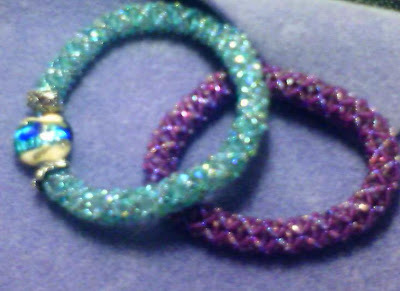 Each bracelet is "one of a kind" and has a Swarovski crystal button for a unique clasp. This one is still for sale, for price and size email jjworley@aol.com for the information. Please put Ammonite in the subject line. Below is a little information about a Ammonite. The Ammonites or Ammonoid Cephalopods appeared in the late Silurian period about 400 million years ago. They became extinct along with the dinosaurs at the end of the Cretaceous period 65 million years ago. There name comes from their spiral shape appearing similar to rams horns. This name can be traced back to the Greeks comparing them to the Egyptian god of Ammon who is depicted as wearing Rams horns. They likely ate fish, crustaceans, and other small creatures. They themselves were preyed upon by large marine reptiles like Mosasaurs and some shells even bear the teeth marks from such attacks. I have been in love with beads ever since I taught in Bryan, Texas and they took me to a bead shop. So many have asked to purchase my pieces I have decided to put the ones that are for sale either on this blog or another just for the pieces. Right now I am taking the photoes. My cousin Michael!! 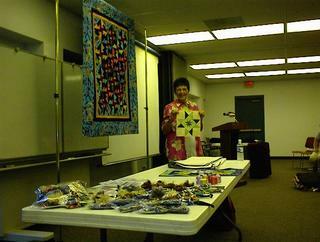 Last year I taught in Hawaii at the Quilt Hawaii 2008. It was a wonderful trip and the icing on the cake was that my favorite person in the World lives in Honolulu. Michael and his partner Keith took us to every heart-stopping beautiful place on the island. One of my favorite movies is Jurassic Park and we were right on the sport of the filming where the children were running from the herd of dinosaurs. The sky is the most beautiful blue I have ever seen. The second picture is my host's home. Amazingly beautiful and has 9 bathrooms! The third picture is one of my classerooms. So many of you have asked me to post pictures of my teaching trip to the Middle East you are going to be shocked I'm finally doing it. Now the problem is which pictures! So lets start with Food. This is how the Guilds in Abu Dhabi have tea during their classes. If you are wondering if those really are silver trays....yes they are and this is only tea. You should have seen lunch. We were served all day by the sweetest ladies in their formal black and white uniforms. I have had so many requests for a fast project that is something different. This is my new class and so far everyone is loving it. Too many quilters are tired of having unfinished projects and hauling sewing machines around. This project will fit in one hand and is so fun and easy you will be amazed. It is perfect for gifts because it is so fast but Beware....these bracelets are like peanuts and you can not make just one. 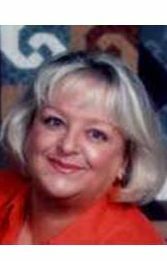 I take terrible pictures so I will replace these as soon as possible. Merry Christmas everyone! After looking at the picture of my tree I guess you are wondering how such a big tree got into a apartment.....grin. It was not easy but way worth it! I love ornaments and have the dates and who gave it to me all over the tree. As each ornament goes up it is such fun to think of the person and remember past tress. This tree does not have all the ornaments that is why it looks so empty. Soon as the baking is done I will get them all put up. I wish I could get a picture that would show up the lights, that is when it is amazing. Speaking of baking, I made the most amazing cookie this year. Potato Chip ! It was the best of all that I have done so far. Addie Lawey is the student that gave me the recipe. Thank you Addie! Once I get all the cookies and fudge done I will take a picture. 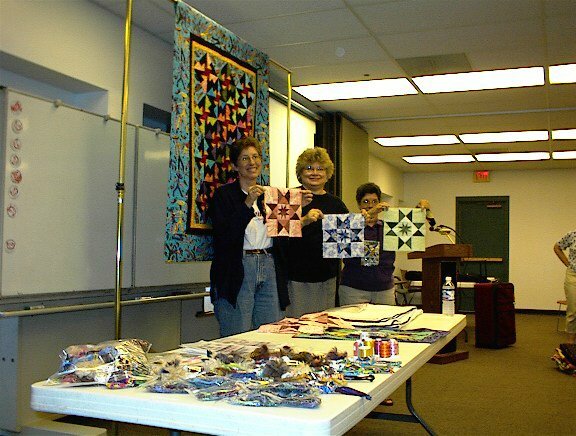 This year I was invited by the guilds in Muscat, Oman and Abu Dhabi in the United Arab Emirates to teach some quilting classes......just writting this gives me goose-bumps! It was the most amazing and exciting thing I have ever done. Even now that I am home, I still have to pinch myself. I took many pictures and wish I had taken even more. I arrived in Abu Dhabi at midnight after a plane ride of more hours than you want to hear about, my first class began the next day. First impressions......bright sun, clear vibraint colors and a faint smell of spices. 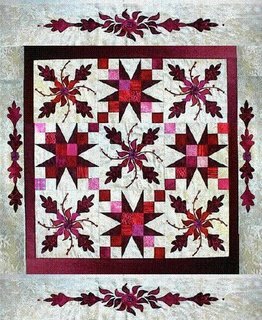 If you are looking for a wonderful quilt show this is a great one. The complete show and classes are all under one roof right in the hotel Gaylord Opryland Resort and Convention Center. Shopping at the show is amazing and you can also walk to one of the great shopping areas of Opryland. This all happens August 22-25, 2007. My other classes are # 28501 and # 28513 Beginner Machine Quilting, # 26504 Machine Trapunto & Machine Beading, #27101 Chocolate Ripple, #22301 Lunch with Janet Jones Worley (I show tons of quilts) and #27509 Artsy Fartsy Snip & Toss. If you have any questions about supplies or just want to say hello, email me jjworley@aol.com. Hope to see you in Nashville! Here is a great picture of Scraps, Bunnys sister! 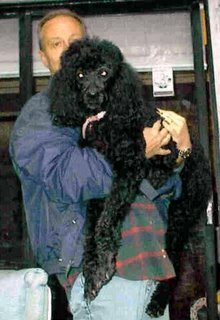 I have promised a picture of my standard poodle Bunny for a long time. Michael, my husband found this picture yesterday. Bunny weights over 50 pounds so she is a handful. Bunny has 5 of her own quilts but most of the time prefers Michaels or the new quilt I am working on. Bunny has a sister which lives with my friend Kim (one with the wedding pictures) named Scraps. I will post her picture right after this one. They love each other and have to have Poodle Parties and sleep-overs. Are you thinking they are spoiled? You are soooo right. 2006 Dixie McBrides "Quilters Escape"
My wonderful class! A truely taltented group and a pleasure to teach. Since someone has to hold the camera I will post another picture of the group so no one is left out. 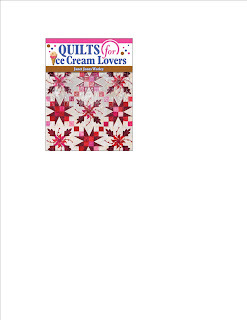 My newest book "Quilts for Ice Cream Lovers" is finished and the quilts will be going to the publisher in a few weeks. This book has taken longer to finish than I planned but I hope everyone will enjoy it. I'm already teaching classes from it even though it has not reached the shelves. Those classes are very popular and it is really fun to teach new things! I'll put some class pictures from my next trip. Quilter's Excape in Northern CA is next and this is the second time for me. 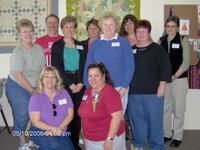 It is one of the top quilt retreats in this country! If I were not teaching I would want to be a student. I have some great pictures of the past retreat and will post them soon. Here is a list that many of ya'll may enjoy. 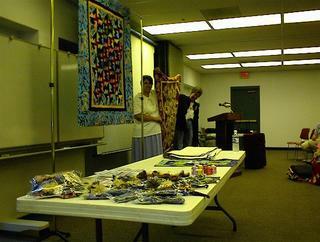 Quilt artist from around the world belong and share information. 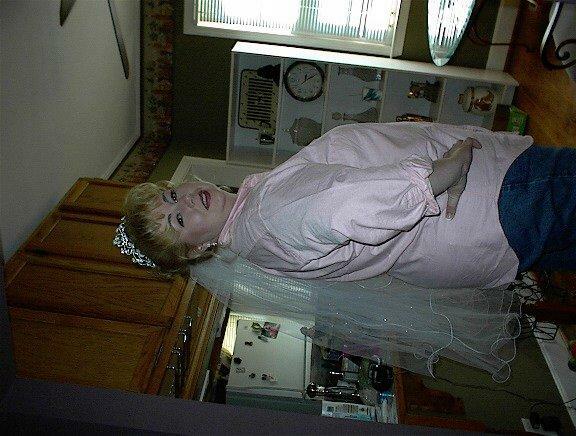 So many of ya'll wanted to see Kimma so here she is on her wedding day. We are all at her home and she is just back from having her hair done. Notice the crown! 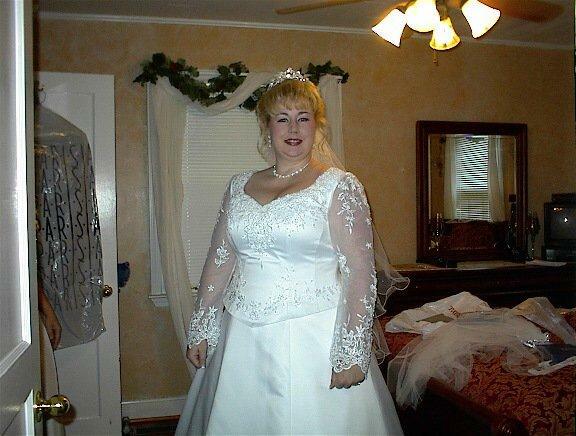 The wedding was beautiful and the Bride was breathtaking. Isn't the gown stunning? It is perfect for Kim and the Groom looked handsome. Ya'll know how I was hoping Lurch would make it to the wedding and she did! It was so great to see her if only for a few minutes. What an amazing few months this has been. I flew to Little Rock and had such a wonderful time. I took some wonderful pictures but some how they got deleted. Great ladies belong to this Guild and I had the best fun. From there I was on to Charlotte, NC where Southern Hospitality was alive and well. One of my best friends is getting married and these southern ladies were so kind. They moved the workshop and lecture days so I could fly home early. 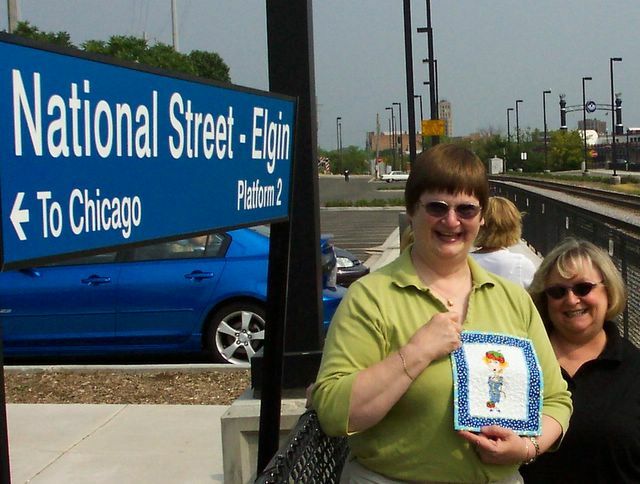 Barbara Vlack the Program Chair, me and Flat Patty waiting for the train to downtown Chicago. Look at these faces....you can tell what fun these girls were in class. Just home from a wonderful visit to Chicago, one of my favorite cities. I love snow but not achance of that this time of year. While I was there the temp was around 98 everyday! I was taken to Navy Pier by the Program Chair Barbara Vlack and it was great fun and beautiful.....also Very hot. I forgot to take group picutes of my classes something I seem to do alot. This was a super wonderful group of ladies that I miss already. I did manage to take a few pictures during Show & Tell. The first class I taught was Blueberries & White Chocolate, second was La Chocolada. During La Chocolada I did remember to take some pictures of the fabric combinations that were amazing. 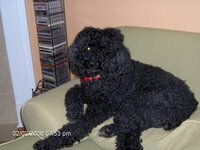 I had hoped to have some pictures up but have been so busy. My new book manuscript is due in August and I am still traveling/teaching. On Friday June 24 I fly to Chicago, IL to teach & lecture the Prairie Star Quilters Guild. Since Chicago is one of my favorite cities I'm very excited. I'm told there are 2 quilt shops very close to my hotel which is wonderful. I still need fabric for 2 quilts and I have not found anything that appeals to me. I know the design but have nothing in my mind as far as color. Usually when this happens I just have to wait for the fabric to jump up and find me! 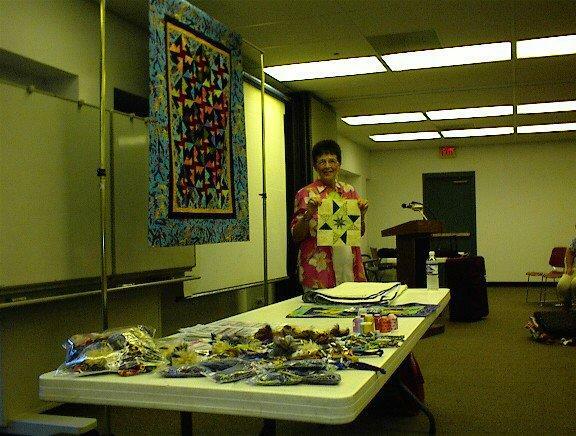 The quilt behind me is from my book "Quilts for Chocolate Lovers" published by the American Quilter's Society. 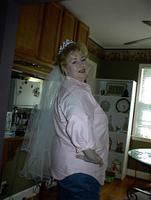 One day I took a good look at my apron and decided enough was enough. Would I want to be caught dead wearing this apron? No way, but what is a girl to do? I went shopping for an apron and found out they were almost impossible to find. The few I did find were made with such cheap fabric they could never hold up to real wear. So begun my new hobby, making cool but usable aprons that if I were caught dead in one I could be proud.